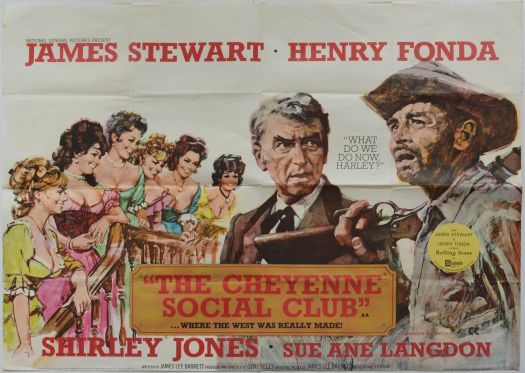 Sergio Leone wasn’t quite done with the Western genre after DUCK, YOU SUCKER. 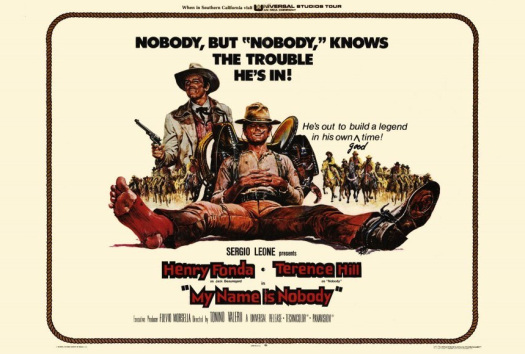 MY NAME IS NOBODY is based on “an idea by Sergio Leone”, and though Leone’s former Assistant Director Tonino Valerii is given full credit, the Maestro reportedly directed a couple of scenes as well as some second-unit action in the film. 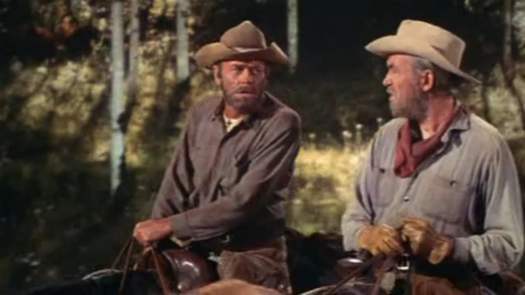 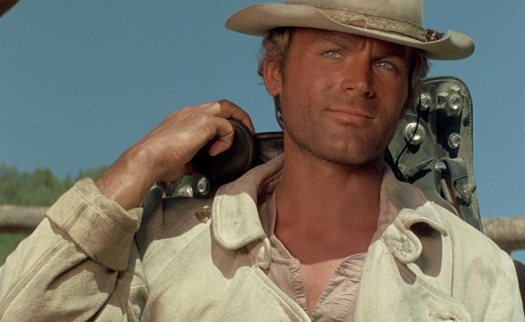 Whatever the case, the film puts a comic spin on Spaghetti Westerns in general and Leone’s movies in particular, with the comedic talents of star Terence Hill standing in sharp contrast to the old school Hollywood hero Henry Fonda .